Here are some of the semantic web applications created as a part of current and previous SID research projects.Prototype applications demonstrate the possibilities of Semantic Web technologies, showing real benefits for end users. These applications have been built on the foundation of semantic software tools, semantic services and the semantic web infrastructure (led by W3C). 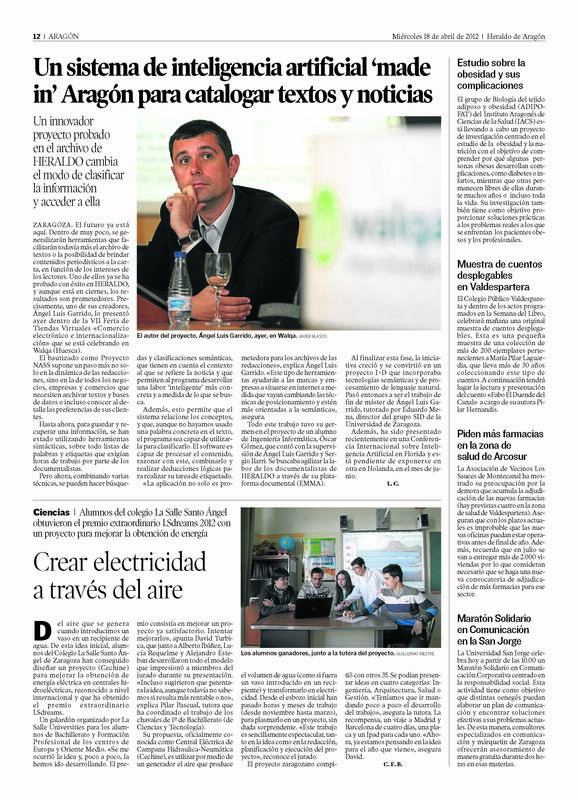 Article (in Spanish) published in the newspaper "El Heraldo de Aragón" (Abr 3, 2016) which explains the AIS project, in collaboration with the company Insynergy (ISYC), dedicated to extracting information from legal documents using semantic techniques. 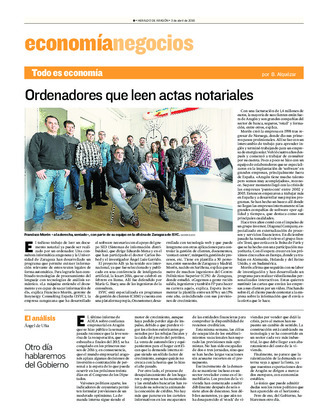 Review in the ISYC company blog Article (in Spanish) published in the newspaper "El Heraldo de Aragón" (April 18, 2012) that describes NASS, our work on catagorising news using semantic techniques. Article (in Spanish) published in the newspaper "El Periodico de Aragón" (March 3, 2011) that describes our work on distributed monitoring of sport events with camera management. 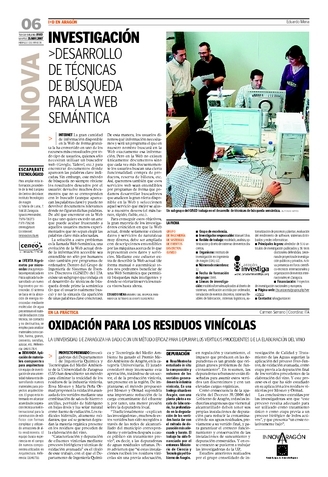 Article (in Spanish) published in the newspaper "El Heraldo de Aragón" (May 15, 2007) that summarizes our work on semantic web. QueryGen A system to access data semantically taking as input plain keywords. It uses the discovery and disambiguation techniques developed by the group, and performs a keyword interpretation that is guided by the semantics of the target query model. CIDER Our ontology matching system. It takes two input ontologies and detects equivalences between them. Some simple utilities, developed in the context of the above mentioned applications, that can be also tested as "stand alone" web applications. SHERLOCK A system to provide mobile user with Location Based-Services in Wireless Environments. 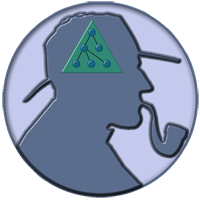 SHERLOCK searches and shares up-to-date knowledge from nearby devices to relieve the user from knowing and managing such knowledge directly. Besides, the system guides the user in the process of selecting the service that best fits his/her needs in the given context. GENIE An architectural proposal that implements a set of components which objective is to provide tools to make easier information extraction with easily accessible formats using structured documents, statistics, IA technics, natural language processing, syntactic and semantic tools. Discovering Web Services using Semantic Keywords A system that assists to both service producers and service consumers in the discovery of semantic keywords which can be used to describe and discover web services respectively.